Hawai‘i Pacific University is a culturally diverse university with students from all 50 states and over 75 countries. HPU was founded in 1965 and offers over 50 undergraduate programs and 14 graduate programs creating a student population of nearly 7,000. 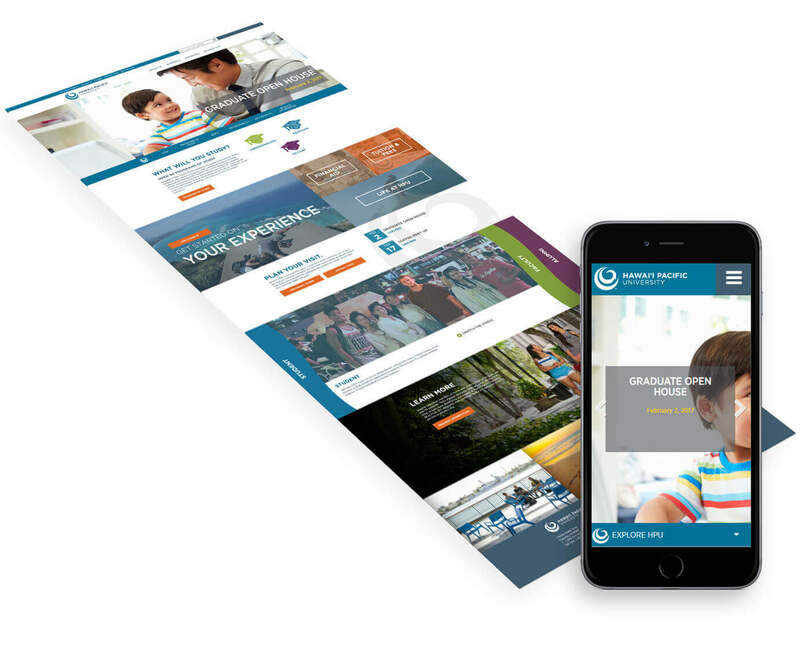 Hawai‘i Pacific University partnered with Beacon for a two-part, responsive website redesign. In phase one of the project, the entire look and feel of the homepage was updated, complete with anchor navigation, a video/image impact area, as well as a featured wave slider for student, faculty, and alumni profiles. The newly designed homepage highlights multiple featured content sections and call to action buttons that are completely customizable. In phase two, Beacon developed a palette of modular templates designed to simplify navigation and take advantage of contemporary media usage. Background options, multi-column layouts, accordions and video integrations provide for enhanced imagery and a vastly improved user experience, both on desktop as well as mobile devices.